I'm a firm believer that we could cut the numbers of public streets available to traveling cars in half (or at least cut the width of most streets in half) and we'd all be happier with the added space for gardens, shade trees, dinners outdoors and playing. Here in the U.S., Park(ing) Day is a step in the right direction. But what if we went a step further? In the U.K., a group called Playing Out encourages neighborhoods to organize limited after-school closings of neighborhood streets to allow children to play. New York City has a similar program called Play Streets. Could a program like this work in your community? Here in the U.S., media coverage with a tone of "scientists say this, people who sit around all day worrying what innocuous thing might kill them say that" media coverage perpetuates a false belief in the myth of "wind turbine syndrome." In South Korea, media coverage with a tone of "scientists say this, people who sit around all day worrying what innocuous thing might kill them say that" perpetuates false belief that a desk fan left on overnight can kill you. I'm not saying the fear isn't real, or that people can't work themselves up to the point that they're feeling real symptoms. But they're both urban legends. More Coal Closures in Midwest - When Will MA Go Coal-Free? Aside from the obvious climate and public health benefits, ratepayers in Ohio should be cheering this long-overdue move to get Ohio off its addiction to one source of energy. In 2009, Ohio was getting a ridiculous 84 percent of its energy from coal. That dropped to 78 percent by 2011, but with coal prices rising, natural gas prices plummeting and the cost of wind and solar dropping by the day, diversifying Ohio's electric portfolio is just good business. Tell Gov. Deval Patrick you want Massachusetts to go coal-free - and while you're at it, show your support for building Cape Wind now. 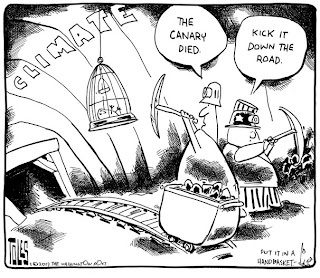 Even After the Climate Canary Has Died, Will We Keep Digging the Coal Mine Deeper? Even as America weans itself off of coal-fired electrical power, coal corporations want to keep mining and export America's to developing countries. That way Americans don't get any of the electricity, but our natural resources are still plundered, our climate is still polluted, taxpayers are still on the hook, and big coal corporations still get to reap all the profit. What's not to like? I recently moved from an apartment building (well insulated with a lot of free heat from my neighbors) to an old house (poorly insulated, stand-alone). Even keeping our thermostat as low as we can and doing some weatherization work, our natural gas heating bill last month was $147. I thought that was a lot, but then my aunt told me her bill for oil heating was $600 last month alone. Big New England electricity customers are also feeling the burn of high natural gas prices. When people say "but clean energy might cost more" I reply "like our current system is so affordable?" There may be some bumps along the way, but isn't it worth at least trying a different path? A new documentary, Not Yet Begun to Fight, details a program to give wounded veterans a chance to find peace on a secluded river. It's a reminder that when we talk about the value of America's natural resources, it goes far beyond jobs & GDP. Natural gas has been pitched as a "bridge fuel" by those who don't want to transition New England's electricity supply from dirty fossil fuels like coal and oil to clean energy sources like solar and wind right away. The six-state New England region and parts of Long Island are the most vulnerable now to overreliance on gas, a vulnerability heightened by a shortage of natural gas pipeline capacity, but officials worry that similar problems could spread to the Midwest. Today, there's not one offshore wind turbine harvesting wind energy off the Atlantic Coast. Not one! Wind may cost a little more to build up front, but Mother Nature isn't going to threaten to export our breezes to Europe unless we pay exorbitant prices. It's been 12 years since Cape Wind was first proposed and our regulators have let big mansion money on the Cape tie it up in regulatory knots. Let's build Cape Wind now - and a lot more offshore wind to follow. Apparently penguins sound like Woody Allen and polar bears sound like union guys. Who knew? Matt Damon isn't a boutique activist trying to shed light on some obscure issue no one knows about. No, he's tackling the unsexy, big, lethal problem that's right in everyone's face: Lack of clean water spreading disease, particularly in Africa, South Asia and Central America. 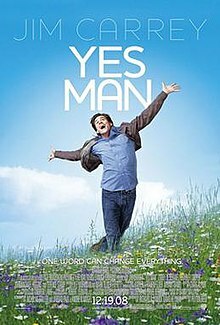 Tonight's State of the Union: No More Yes Man? President Obama's first four years saw him attempt to say yes to everything on climate and energy - yes to both the right policy choice AND the political pander. Tougher fuel efficiency standards and new air pollution limits? Yes! The fastest expansion of oil drilling in U.S. history? Yes! This all-of-the-above strategy has been a failure - instead, we've gotten the worst of all worlds. More risky drilling than ever? Gas prices near record highs? Price tag for climate-fueled weather disasters hitting $188 billion? Yes, yes and yes! Tonight, I hope President Obama continues his inaugural theme of making good choices and smart investments. He needs to keep saying yes to clean energy investment and yes to carbon emissions continuing to go down while economic recovery continues its upward track. But he also needs to start saying no - no to America serving as the middleman for dirty, expensive Canadian tar sands. No to unlimited, untracked methane emissions from gas fracking. No to unlimited carbon pollution from existing coal-fired power plants. The good news for President Obama is that making those hard choices is politically popular. Today's Washington Post poll finds more than half of voters support action on climate change, with just a third of voters in opposition. Climate-fueled extreme weather events like superstorm Sandy have shifted the center - climate action is now a clear political winner. Now that's worth saying yes to. In today's Washington Post, Larry Summers has an op-ed saying we should rely more on dirty energy - but dirty NORTH AMERICAN energy! Natural gas exploitation, too, could bring huge environmental benefits. Replacing coal with natural gas has much more scope to reduce greenhouse gas emissions than more fashionable efforts to promote renewables. A period of record-low capital costs and high unemployment is the best possible time to accelerate the replacement cycle for environmentally untenable coal-fired power plants. More generally, the production of natural gas and its use in industry should be a substantial job creator for years to come. This is Summers' entire section on energy. I didn't lift his section on dirty energy out of a broader piece on clean energy or even a make-no-choices all-of-the-above piece. Summers thinks the entire key to our energy "transformation" is what we're already doing - more dependence on high-priced dirty oil, more privatizing our public lands and waters to Big Oil while socializing the risk of oil spills, more putting our water supplies at risk with gas fracking, no mention of climate change. This is what passes for transformational thinking with the Very Serious People in Washington. How Did Wind Turbines Do During the Blizzard? One of the more entertaining myths pushed by anti-wind activists is that after an ice storm wind turbines will start aiming chunks of ice at distant homes like a carbon-fiber eye of Sauron. Studies have shown that if a turbine continues to operate even during an ice storm, ice may fall up to 90 meters away. But that's about 4 times closer than any home should be from a wind turbine, so consider yourself safe. Just to be sure, take this advice from The Green Miles: Do not hang out directly under a 130-meter wind turbine during an ice storm. As is often the case with wind turbines, people worry more about the new weird-looking thing than they do about the existing and actually dangerous thing. Just as people worry about made-up health impacts of wind power while overlooking the very real and very deadly impacts of our dependence on coal-fired power, they worry more about ice chunks from wind turbines that I can't find any evidence have ever hurt anyone when ice chunks from ordinary buildings will murder you dead. White Out: Will Climate Science Denying TV Weathermen Forecast Less Snow During Blizzard? Today's massive Northeast blizzard must put climate science-denying TV weathermen in a tough spot. Do you stick to your political guns and forecast based on a world with no temperature increase - pretend there's less energy in the atmosphere for the storm to draw on, pretend the ocean isn't much warmer than usual to add moisture to it - and risk underestimating its strength? Or do you forecast with the baseline of a warming world fueling extreme weather and acknowledge climate disruption is helping make "Nemo" into a monster? My guess: All TV meteorologists incorporate climate impacts into their forecasts, but few (if any) talk about the influence of climate change in their on-air forecasting discussion. What If the Carbon Pollution That's Killing Moose Wasn't Invisible? 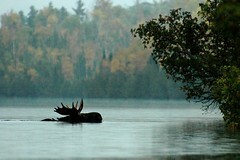 Minnesota's moose are dying in jaw-dropping numbers. If they were dying in an oil spill, it'd be the lead story on the national nightly newscasts. But they're being killed by carbon pollution, which is invisible and hence in dispute! So we let the politics of carbon pollution take command and prevent us from confronting this like it what it is - a full-blown climate crisis for both wildlife and people. Build a useful road and you'll find that space on the road at peak times is a valuable commodity. And yet it's also a commodity that's generally either available for free or else available for a price that's unrelated to the demand for space on the road. Naturally an underpriced valuable commodity leads to overconsumption. 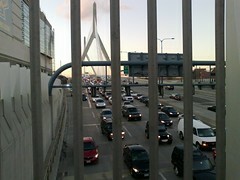 Traffic jams, in other words. Every once in a while Ben & Jerry's holds a "Free Cone Day" that invariably leads to long lines. Roadways in dynamic metro areas are basically holding Free Cone Day five days a week. Charge people enough money to eliminate routine congestion and you'll find yourself with fewer traffic jams and an enormous pool of revenue that can be used to maintain your basic infrastructure and upgrade your bus service. I was putting out the recycling yesterday when I heard a flapping from the neighbor's backyard. By the time I'd grabbed my camera, it was already over - a young Cooper's hawk had nabbed a pigeon and was settling down for a leisurely lunch. If common hawks like Cooper's, red-tailed and sharp-shinned aren't among your favorite wildlife, they should be. You can spot them just about everywhere, watching rural fields from dead trees, watching the highway median from a lamp-post (my girlfriend never gets tired of me pointing them out), watching for A-Rods at Fenway, or watching you from your office. In urban areas like New Bedford, hawks are downright essential. Pigeons aren't much better than rats with wings and can overrun downtown areas, spreading disease with their droppings (note that the problem is worsening with warming winters - thanks, climate change!). Sure, bald eagles may look majestic fishing out in placid ponds, but are they willing to confront an URBAN SCOURGE like an avian Charles Bronson? I think not. Update: Birding blogger Dendroica pointed out on Twitter that this wasn't a red-tailed hawk as I originally assumed, but a Cooper's hawk. The juvenile Cooper's coloring is similar to a red-tailed, but I should've known better from its small size. The Green Miles will try to do better next time!